Come join us for a tour with flare and focus! 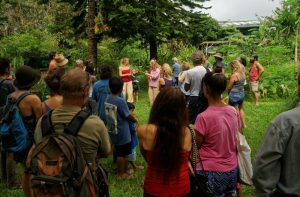 This tour will help you understand permaculture principles and basic desin methodology by looking applications here at La’akea Community. We will look at examples with ample time for questions and discussion this opportunity is sure to increase your understanding of how to apply permaculture to your own systems. Advance registration necessary. Please call or email Tracy.